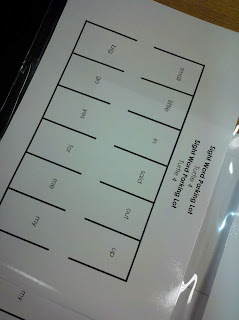 I saw a sight word car game on on Pintrest. I loved the game, but I needed to make it usable in a classroom setting with 25 other kiddos. I designed the following game for my kiddos to try when they get back this week! I made the game in Microsoft Word with 12 sight words that we are working on this month. 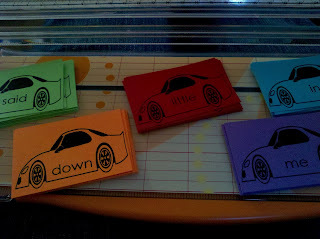 I also make little car cut outs for the kiddos to park on each parking space. We have been playing this game for about 2 weeks, the kids seem to enjoy it.